Right Chromosome, Right Place, Wrong Side. My cousin Christopher found me through 23andMe about a year ago. He and his ancestors are from West Virginia. Since meeting online we’ve been trying to figure exactly how we connect. Since he matches my maternal uncle I know he’s a cousin through my maternal side. My Bayley line came from West Virginia. They were two counties away from where Christopher’s ancestors were. Christopher still lives in the area. Our match is on chromosome nine from 15M to 24M. This is a 13.2 cM 2,142 SNP match. This triangulates to my maternal Drybread side. My Drybread uncle matches on an overlapping 133.6cM 19,427 SNP segment. There are only a handful of GedMatch kits that match me in the section. Of those only one GedMatch kit with traceable genealogy triangulates me, Christopher, and my Drybread uncle. A Hatfield cousin that matches me on a 16.9cM 1,582 SNP segment. So when I saw seven new samples in GedMatch Segment Search I was excited! I started to write Christopher a quick message. Before I even finished typing I stopped. I’d only looked at the matches for ten seconds. Just in that short time I’d seen names like, Seamus, Liam, McGee, Donegal and Quinn. They all sounded Irish. As in Ireland Irish. That is a long way from West Virginia where Christopher and I think we connect. 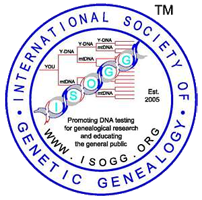 To check this match I ran a ten sample Multiple Kit Analysis at GedMatch. The first three kits I entered were me, my uncle, and Christopher. The next seven kits were all the new ones. There are several Visualization Options under GedMatch Multiple Kit Analysis. The first visualization option I chose was the Chromosome Browser. Immediately the table told me what I had expected. All the new samples match me, but do not match Christopher or my uncle. Since most DNA matches are half-identical you can match different sides in the same place on the same chromosome. Another useful visualization option for seeing if people on the same place of the same chromosome are related is Traceability. 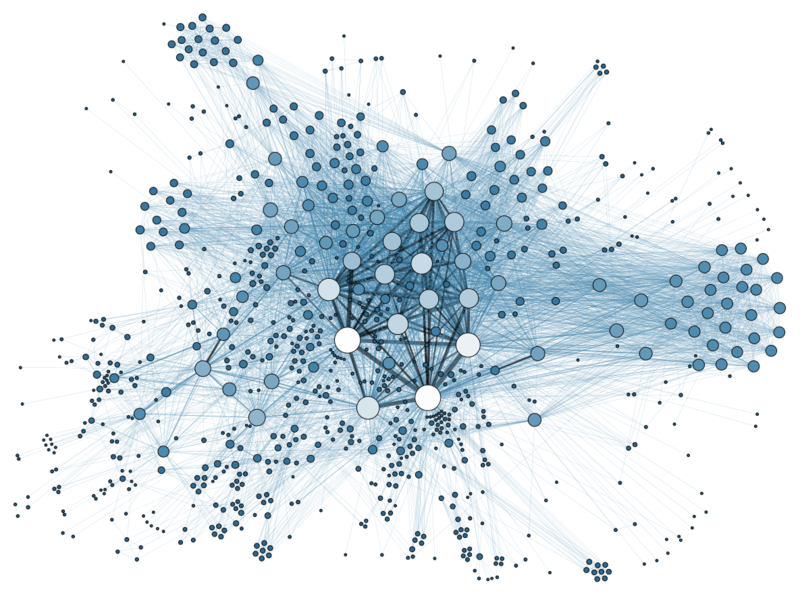 The same ten samples run in Traceability generate a web-like image. Since there is a triangle between me, Christopher and my uncle it shows we are related. 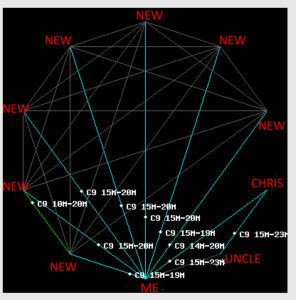 The lines show all the new samples are related to each other and me, but not Christopher or my uncle. 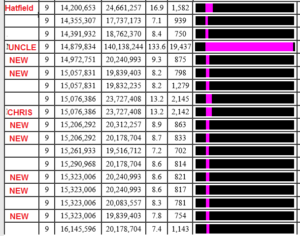 The Traceability option also includes a table similar to Chromosome Browser with a generations estimate. Judging by the names of the new samples it seems highly likely they live in Ireland. My father and all his known ancestors are from Southern England. My mother’s ancestors all came to America before ‘the USA’ was a thing. When I look at lists of cousins it’s easy for me to guess which side they are on. This is because 97% of my maternal cousins seem to be in America. And 97% of cousins on my fathers in the British Isles and Australia. So my instinct to stop writing that first message to Christopher was good. We are still where we were before. Two cousins seemingly connected through West Viriginia ancestors. Like many from West Virginia we have mixed race family history. The lines that we suspect connect us start to brick wall as recently as the Civil War. So far the best clue we have found is a shared oral history of Blackfoot ancestry on our maternal lines. Today many people with Blackfoot oral history originating from the Virginia/Carolina Piedmont identify as Saponi. Through genealogy research at Searching for Saponi Town and other forums I’ve been able to learn more about my lines. Especially relevant now that I am also making DNA matches to people I have met through these forums. For all the discoveries made through DNA it seems oral history is still one of the best tools we have. Thankfully I come from a line of ancestors, many Quakers, (Friends) who recorded the genealogy that I work with. As a genealogist today I stand on their shoulders. The rise in popularity of DNA testing, shows how many people are searching for these answers. Answers these ancestors took the time to record. People are searching for their roots. They are searching for who their ancestors are. Because we all stand on the shoulders of our ancestors. Author magsPosted on September 1, 2016 September 23, 2016 Categories DNA, Genealogy, Oral HistoryTags Genetic GenealogyLeave a comment on Right Chromosome, Right Place, Wrong Side.